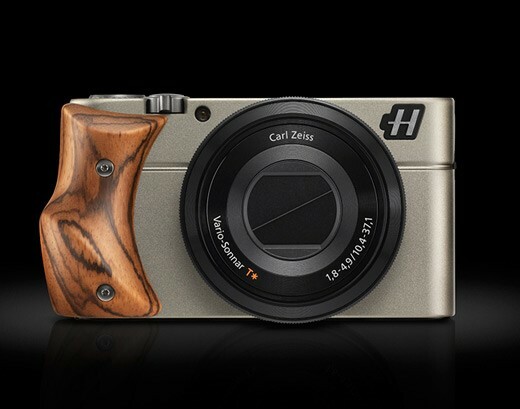 The astonishment of photographers was enormous, as Hasselblad presented the “Stellar” in July 2013 – a Sony RX100 with slightly modified design, included wooden handle and three times more expensive than the original one. Maybe the rebranding-strategy would have been more successful if the RX100 Mk II (introduced one month prior to that) was taken as basis for the “Stellar”, instead of the rather “outdated” Mk I. Or perhaps not. It seems like “Blad” did not have any more success with “Lunar”, a pimped NEX-7, and “HV”, a re-labeled A99, as well. Ennoblement of mass-produced cameras in order to make them look more exclusive and way more expensive, appears like a marketing strategy contradicting common sense ;). As photoscala.de reports, Hasselblad closed the design center in Treviso located in the north of Italy. The center, in charge of rebranding and recreating Sony cameras, was already closed in May 2014. I’m actually really interested in how successful Leica is in selling relabeled Panasonic compact cameras. Seeing the photograph I cannot avoid the impulse to grab a screwdrive to quit that wooden grip. Probably is more comfortable but looks out of place. As a designer I would prefer to shape the material of the camera to get that grip and add a texture, just with those screws seems like something that is going to pop out as in cheap pot handles. You are right. I don’t know how those wooden grips feel, but they sure look out of place. Especially those screws – they are very ugly in my opinion.